In her book The Complete Book of Clean, Toni Hammersley shows us the unexpected dust- and dirt-collecting spots that are keeping your home from sparkling. You don't need an HGTV budget to have the shower of your dreams. No more grease on the cooktop and rings in the toilet. Queen of Clean, Linda Cobb gives her secrets to the chores that drive you crazy. 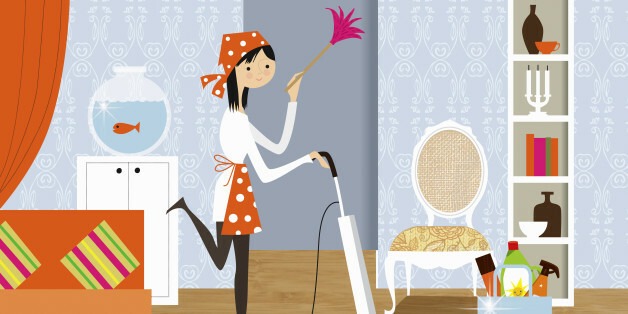 Let's face it: a clean house is something we almost all want, but very few of us can ever routinely obtain. Instead of pining over what isn't, start by being grateful for your busy life that leaves little time for mundane cleaning tasks, and then, implement these 10 simple spring cleaning tips for super busy people. A clean home is a happy home, and we could all use a little more happy. Got one, five or 10 minutes? Experts reveal the deep-cleaning solutions that every renter -- hello, full security deposit! -- and homeowner should know.